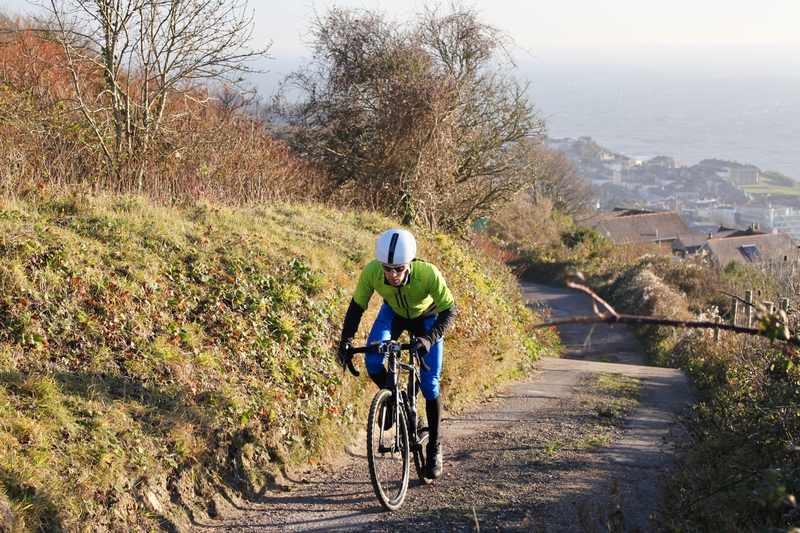 When it comes to kit that makes a difference, the number one in my ranking is a good winter cycling jacket. A winter jacket protects your chest, arms and core from the wet and cold, which in turn acts as a central boiler - pumping warm blood to your further extremities. I've owned and tested numerous winter jackets in the past; some have been warm beyond belief (e.g. 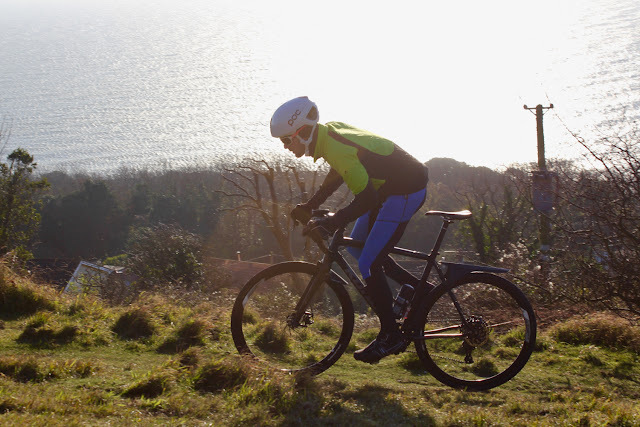 the Primal Paradigm Jacket), some have been impressively waterproof and wind resistant (e.g. 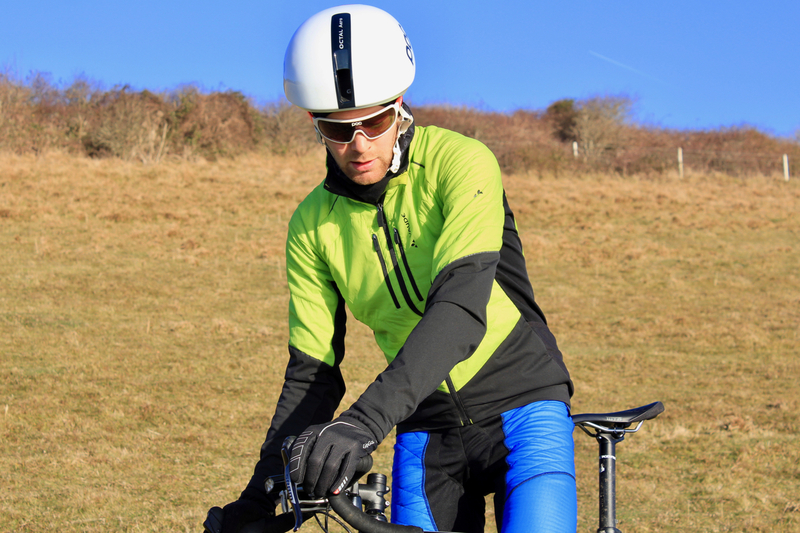 the Huez Starman Storm Jacket). When I rode the 'Coasts and Cols' tour, I wouldn't have been without my packable down jacket; it provided valuable warmth in the evenings and early mornings (read my post 'Top Kit Tips for Endurance Cycling'). 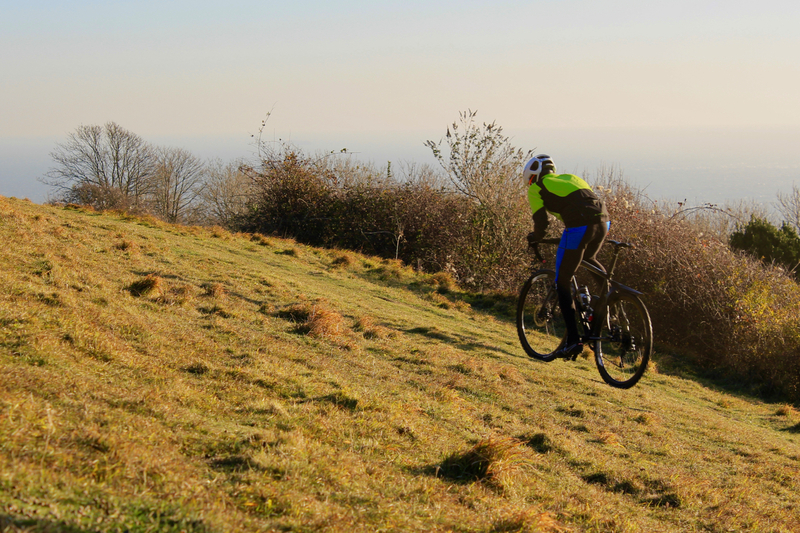 However, the cut and insulation of the down jacket made it less suitable for on-the-bike wear; as it isn't washable, and isn't cut to a streamlined profile. 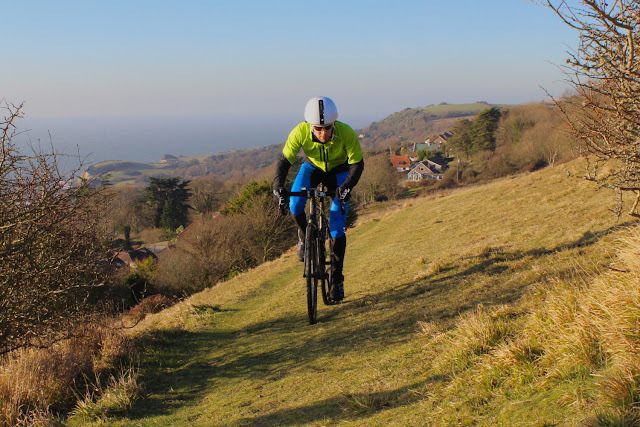 Vaude have developed their Polartec bike jacket range with the idea that it can provide the style of insulation provided by a packable down jacket, but in a cycling specific product. My initial impression of the Alphapro jacket, was that Vaude had nailed their objective; this looks, feels, and performs like a cycling-specific down jacket. The Polartec Alpha fabric (which gives the jacket its name) is used on the chest and upper arms of the jacket; providing incredibly lightweight insulation. 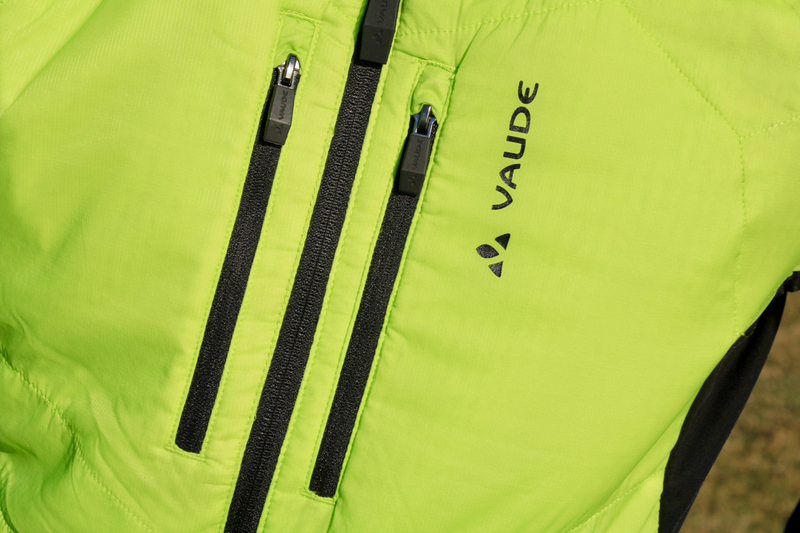 Then, on the sleeves Vaude have used a soft-shell material, to provided added durability and wind protection. Finally, to add to active-performance, the German company has used a soft stretchy Vuelta fabric on areas around the arms and shoulders, to provide added flexibility and motion for the arms. It is a design that impresses from the outlook. The downfall of most deep-winter apparel is that if the temperature does rise, then the thick insulating fabrics become sweaty and stuffy. Polartec insulation is known for being super breathable, and far more like down-fill in its properties, rather than traditional one-layer synthetic fabrics. The Polartec Alpha is indeed impressive, both in its insulation and its breathability; keeping you warm and dry, even when you're putting in the effort. The breathability of the fabric is exceptional because of the ability it holds to allow through-flow of air. Open up the two zippered pockets on the chest of the Vaude Alphapro Jacket, and the air flows through the jacket, and through the insulation; drying and cooling you, and the jacket, in the process. 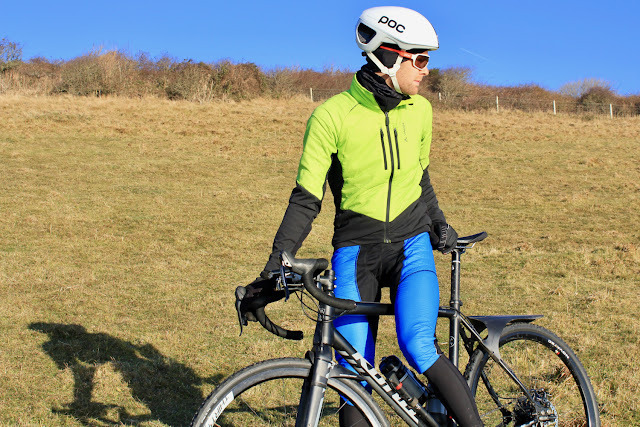 The use of Polartec type insulation in a cycling jacket is something that I haven't come across before; however, its light weight and the superb ventilation and breathability, mean it really works well. The insulation, breathability, and fit of this jacket is great; but so too are the finer details, like the pocketing and zippers. You get a back zip pocket, as well as side mesh pockets on the Alphapro jacket; providing plenty of stowage space for winter ride essentials. The mesh pockets are a neat feature, as it helps to retain the great breathability and low weight of the Polartec material. 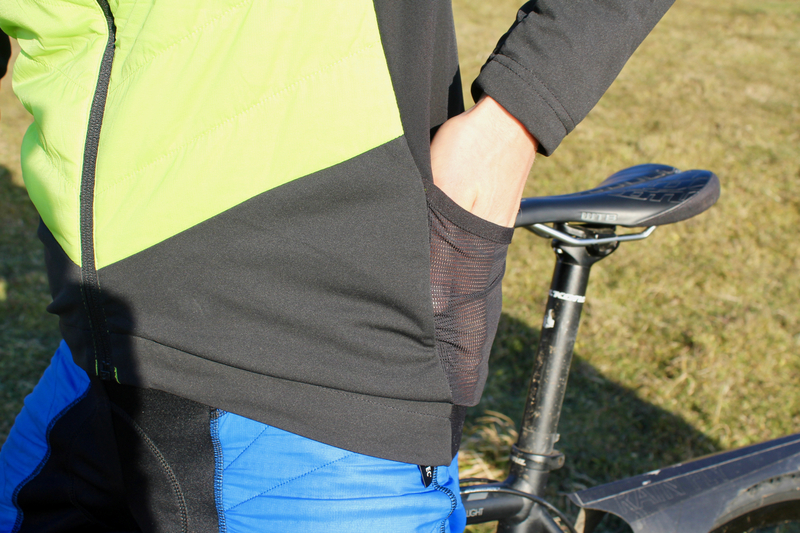 A zippered pocket is ideal to stop your phone flying out, as you bump down those winter roads (that happened to me last month)! Finally, it is worth mentioning that the Vaude Alphapro wears the brand's 'The Green Shape' label, which guarantees that the product was produced from sustainable resources. In addition, the jacket's windproof and water-resistant finish (which works very well), is an 'Eco finish', meaning it is flourocarbon free, and therefore an environmentally friendly water-repellency. 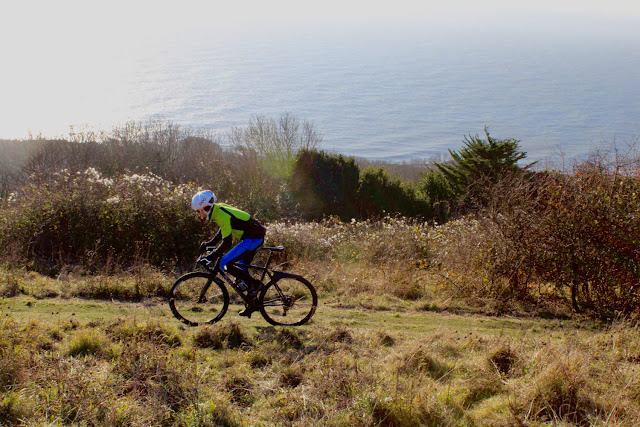 Considering that our cycling kit allows us to enjoy the outdoors, it seems right that companies like Vaude are making efforts to ensure the great outdoors remains unspoilt for future generations. The Vaude Alphapro jacket struck me as a unique product, from the moment I saw it in their catalogue. The design promises deep-winter insulation, but a feather light weight, and superb breathability. It delivers. The outer fabric, insulation, and clever vent design work together to produce a winter jacket that is both warm, and versatile in its temperature control. 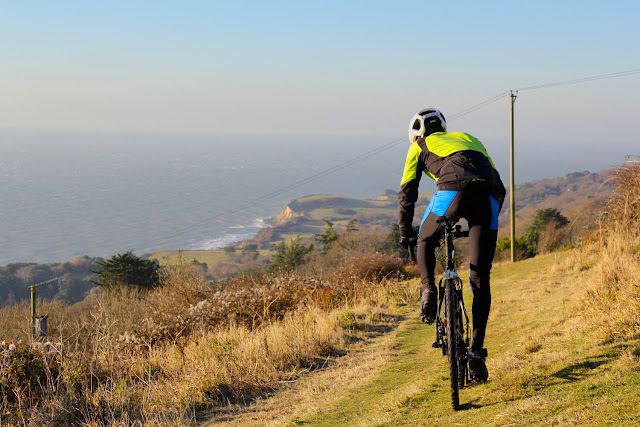 I can see that this would be a fantastic product for bicycle touring; providing a packable insulating layer, which is usable both on and off the bike.